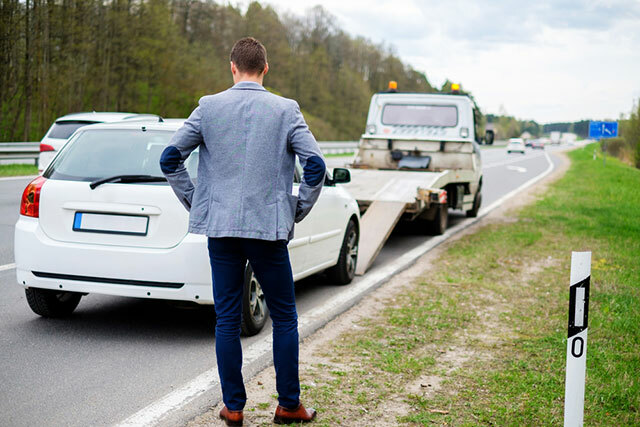 We provide a 24-hour roadside assistance towing service for the Gold Coast as well as regional areas and interstate. As a motorist, there’s nothing worse than being left stranded roadside after an accident or breakdown. Getting your car off the road and to a safe location is our priority. We understand that you rely on your car so getting it to the nearest repair shop or your preferred repairer quickly means repair work can begin immediately. The sooner repairs are started the sooner you can get back on the road. You can call us 24 hours a day 7 days a week anywhere on the Gold Coast for roadside assistance. Our friendly professional team of drivers will get out to you promptly and carefully load your vehicle onto our large 7 metre towing tray which has the capacity to hold up to a 4-ton load. We are fully insured which means all of our trucks and drivers are covered for all of your belongings when loading, unloading and transporting them. We see ourselves as more than just another towing service. Our team of towing experts take pride in what they do. From loading your vehicle to transporting to unloading your vehicle you can be assured that we’ll take the utmost care of your vehicle and our attention to detail means that nothing is left out, care of your property and safety are our number one concerns. If you require towing on the Gold Coast, we are just a phone call away. You can contact us 24/7 for expert towing and friendly professional service every time.